It's persimmon season and I love it! 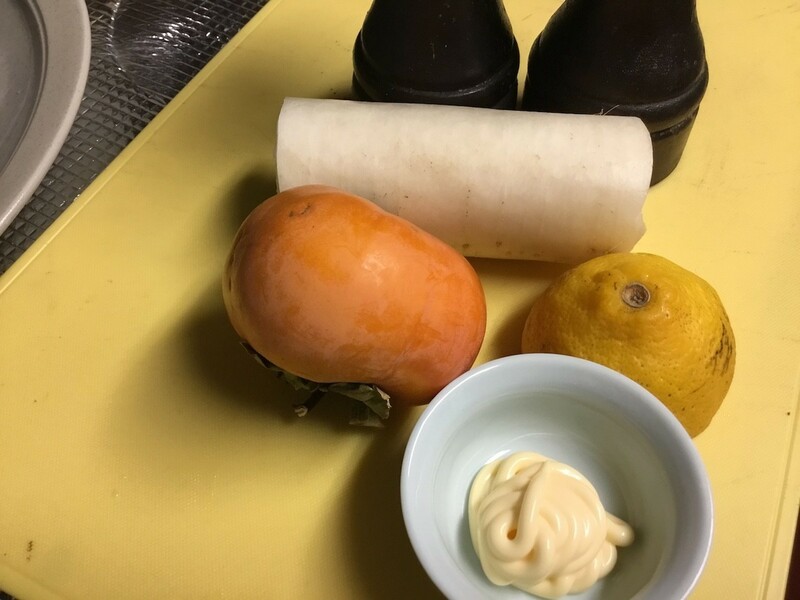 Persimmons are such a versatile fruit. They can be used in savoury dishes, turned into sweet desserts, or eaten by themselves. 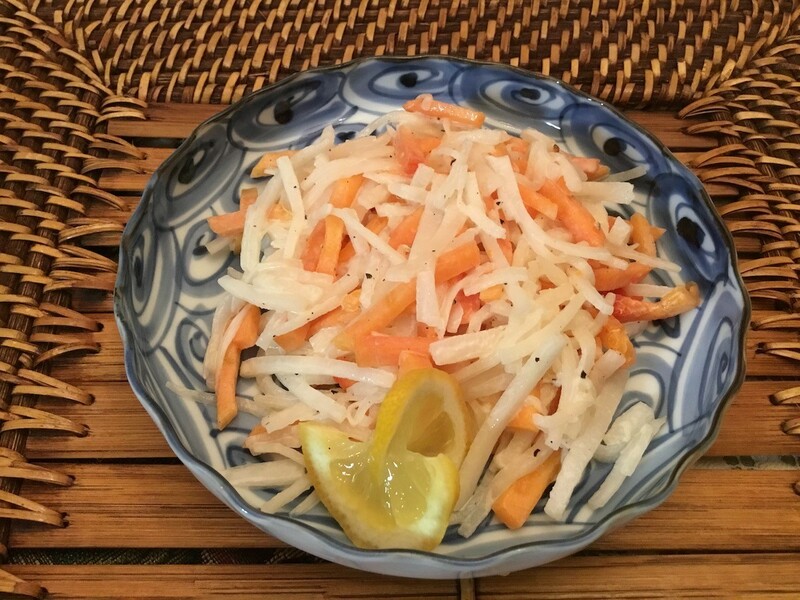 This Japanese style persimmon daikon salad is so easy to make, even though it is probably a bit out of the ordinary. It's bright and punchy and goes great on the side of any dish. If you can't find daikon, use any radish. 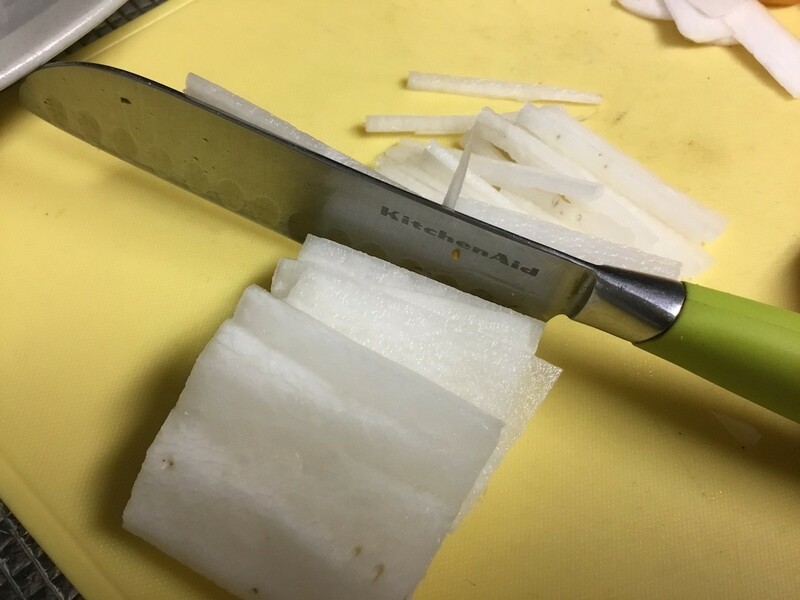 Peel the daikon, then cut into little matchstick pieces. 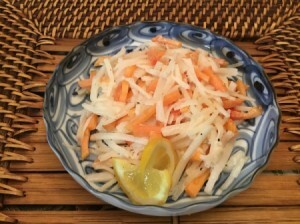 Place the daikon in a bowl, then dash with the teaspoon of salt. Toss it lightly with your hands and water will begin to draw out of the daikon. Squeeze and discard the water that comes out of it. Do not rinse it. Peel the persimmon and cut into similar thin strips. 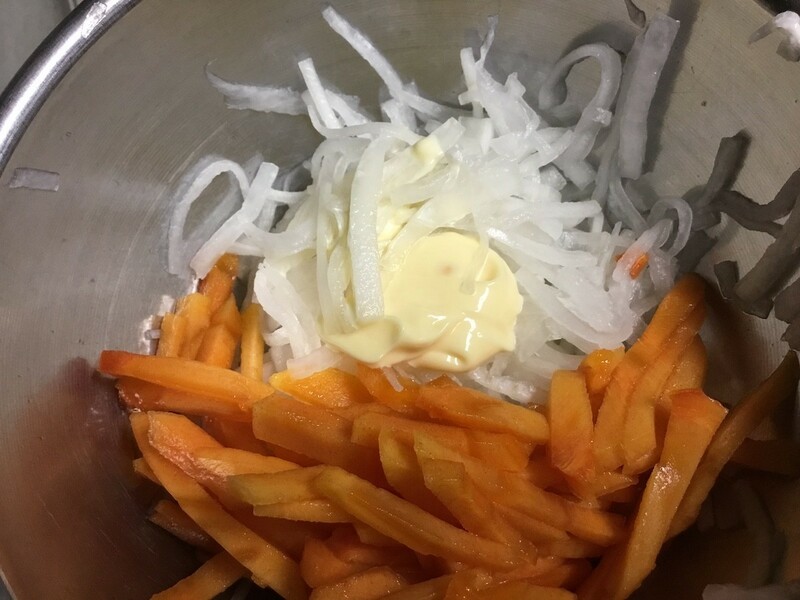 Add to the bowl of daikon, then add lemon juice and mayonnaise. 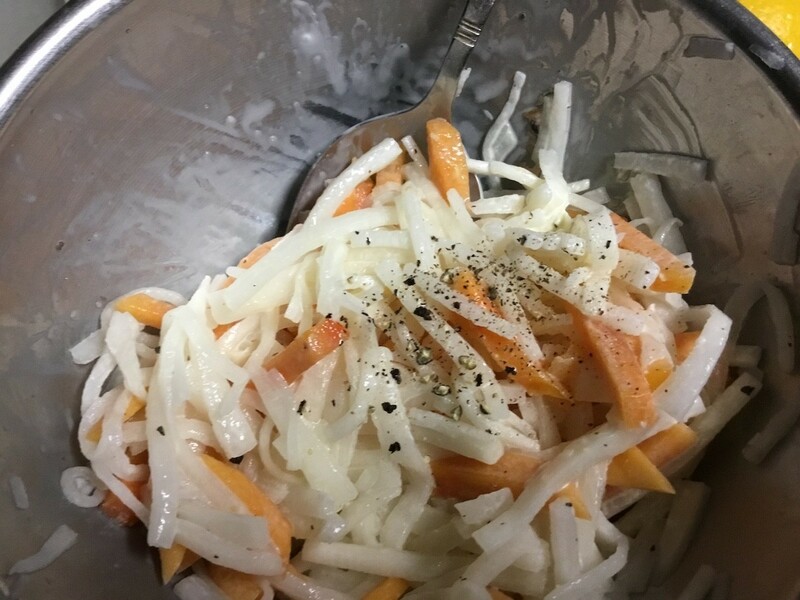 Mix very well, adding salt and pepper to taste.